The big fight on Monday is over, but the analysis continues. 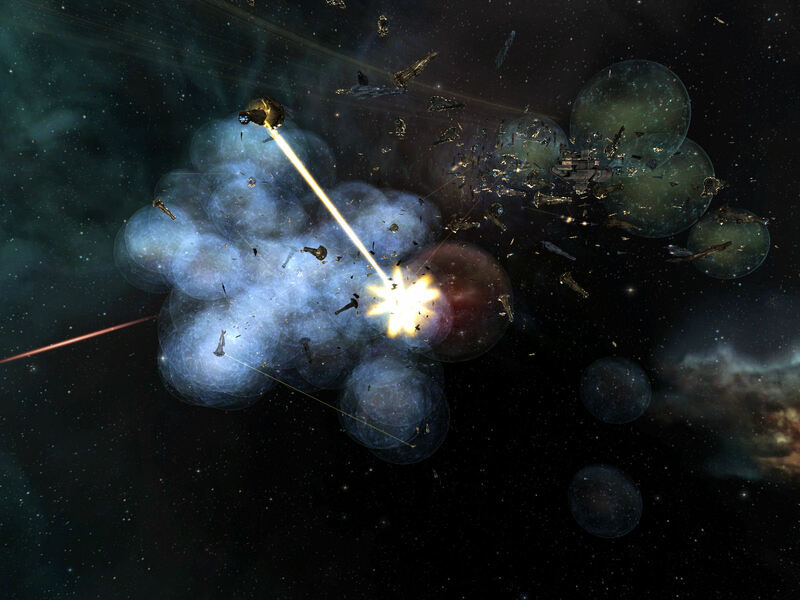 CCP, ever the heroes when it comes to providing details about EVE Online, has weighed in with a Dev Blog Post about the Bloodbath at B-R5RB. You should read it. It has charts, graphs, a narrative, talk about technical impacts and time dilation, and all sorts of fun stuff about the battle. This is why we love CCP. Approximately 775 doomsdays were fired, which is about 24% of all the doomsdays fired in the last two years inclusive. The Battle for HED-GP, which preceded this one in the Halloween War, had about 200 doomsdays. Estimated economic impact: 11 TRILLION ISK. That is just scratching the surface of what CCP has posted. Meanwhile, a few other numbers have bubbled up. So they still have a lot of capital ships to spend in the war… unless, of course, a lot of them in the station at B-R5RB, the loss of which is what set off the battle. Something missing from all of this that I would love to read: The diplomatic conversation between Nulli Secunda, which dropped the ball on the sov bill and set off the fight, and PL/NC, who were the hardest hit by the fight, at least when ISK is used as a measurement. Addendum: The Mittani has a good companion post up about the battle that goes into ship costs and sovereignty and other details with an aim to making them understandable. This entry was posted in entertainment, EVE Online, Null Sec and tagged B-R5RB, CCP, Curse on January 29, 2014 by Wilhelm Arcturus. I love this comment from Manfred Sidious AAR (http://pastebin.com/ckTidP48): I think after explaining to CFC how to beat us for years they finally took our advice and did exactly that.